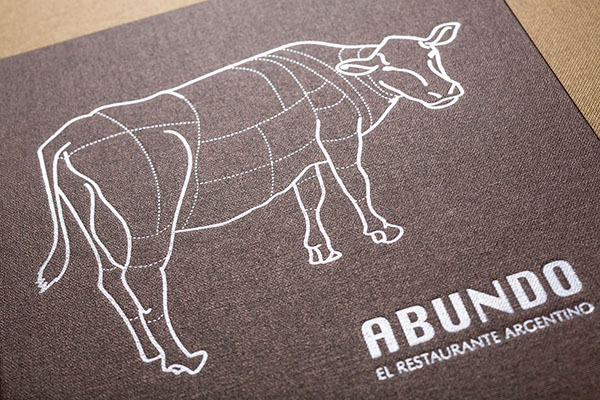 Making a good impression: with embossing. We can emboss your favourite typefont, logo or even signature if you send us the digital artwork. Alternatively, you can choose a font from our selection. 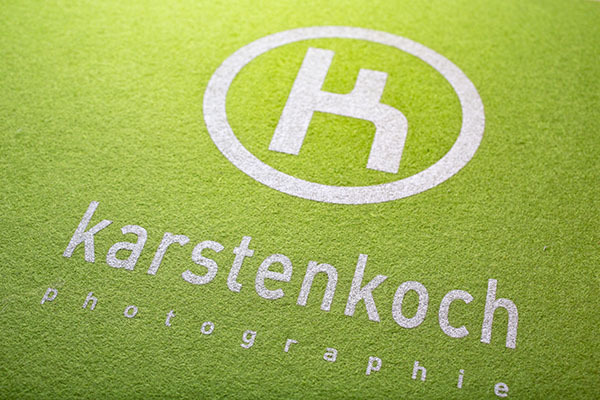 Embossing can be done blind or with added color, and the position is up to you. Felt cannot be embossed, but here we offer you the silkscreen process to add your name, logo or signature in the desired size and position. 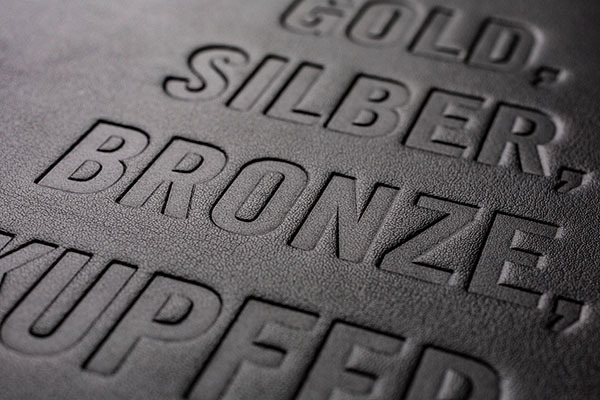 A lot of heat and pressure is used to emboss leather. Many types of leather can also be embossed with color. Depending on the leather, even fine lines can be embossed. Linen, just like leather, can be embossed with or without color. Felt cannot be embossed. We recommend silkscreen printing here to add your type or logo in any color and form.